Wow, it’s been a crazy summer so far! June was a bit of a whirlwind for our family: first we had Annual Conference in Grand Island, then we went on vacation with my extended family, and then we returned to Auburn for a wild week of Vacation Bible School! Last week (June 26-30), we were blessed by the ministry of five amazing VBS interns from the Great Plains summer internship program. 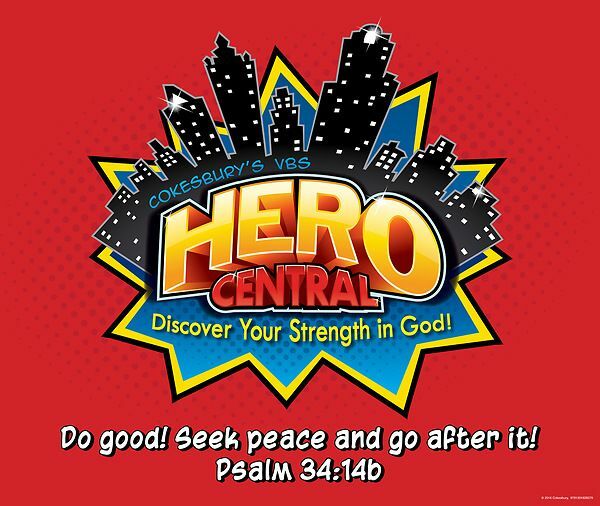 Kristina, Annie, Hawi, Jennifer, and Jemimah are travelling all over Kansas and Nebraska this summer, and they are bringing the high-energy “Hero Central” VBS program to churches in small communities like ours. Under the leadership of the fearless Sarah Hanika, and with the help of a number of adult and youth volunteers from Auburn FUMC, these five interns brought us a truly epic Vacation Bible School experience.